"Winter Tea Castle" Black and White. 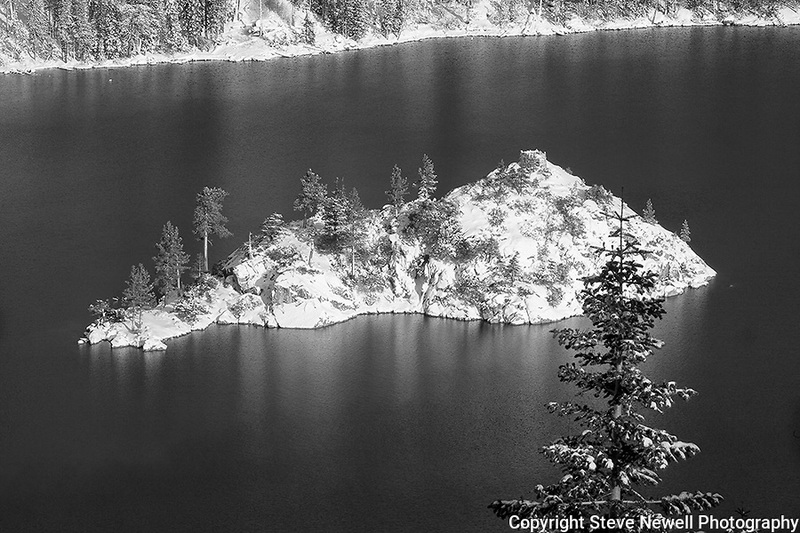 I captured this image of Fannette Island located in Emerald Bay, South Lake Tahoe during the winter in December 2012. The road was closed so I hiked out to Inspiration Point at Emerald Bay on Christmas Eve after a huge snowstorm capturing the island completely covered with fresh snow. I have a series of four photographs posted that range from a close up of Fannette Island to the wide angle that includes more of Emerald Bay and Lake Tahoe. Winter Tea Castle, Fannette Freshies, Inspiration, and White Christmas.